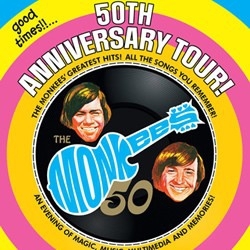 Join Micky and Peter to celebrate 50 years of The Monkees. Fifty years after they answered a classified advert for four boys, for a new television show The Monkees are still going strong with a new album and a sell-out tour. This anniversary concert features all of the group's favourite hits including Last Train to Clarksville and I'm a Believer and is certain to get toes tapping.